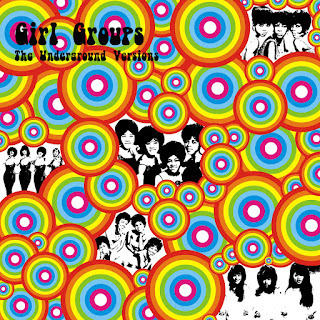 If It's Too Loud...: The Blog That Celebrates Itself Releases a Girl Groups Covers Album! The Blog That Celebrates Itself Releases a Girl Groups Covers Album! Two of my favorite musical genres are oldies from the 60's and noisy indie rock. It's rare that those two genres get mixed together, but luckily for me The Blog That Celebrates Itself has released yet another brilliant covers collection, this one specializing in girl groups covers. If you're looking for covers that stay true to the original, this one may not be for you. It's filled with genre shattering versions that skew towards shoegaze and noise rock, filled with more feedback and droning guitars than most people can handle. A perfect example is include "Now You're Gone" (done here by Ceremony, originally by Bobbie Smith and the Dream Girls), which would be entirely unrecognizable without a track listing. It's a blisteringly noisy nearly 7:00 version that ignores the vocals for two full minutes, which completely defies the entire girl group genre. Ghost Transmission goes a little more traditional with their version of The Shangri-las "Remember, Walking in the Sand," but that might only be since you can actually understand the vocals, which are fairly straightforward. The Persian Leaps also pop in with "And Then He Kissed Me" by The Crystals, which is probably my favorite girl group song of all time. Their version is possibly the most faithful version on the compilation. You can download your copy of Girl Groups - The Underground Versions at The Blog That Celebrates Itself's Bandcamp for free!